Otto Tange was born on 22 September 1915 at Hochdonn in Holstein. On 17 May 1940, Tange was posted to 5./JG 51. He participated in the French campaign and the Battle of Britain. He claimed his first victory on 10 July 1940, when he shot down a RAF Spitfire fighter near Dover. He recorded one further victory during the battles over England when he shot down a RAF Hurricane fighter near Clacton on 15 August. Tange had three victories to his credit when 5./JG 51 participated in Operation Barbarossa, the invasion of Russia. By the end of 1941, Tange had increased his victory total to 36. 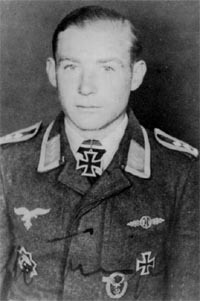 Oberfeldwebel Tange was awarded the Ritterkreuz on 19 March 1942 for 40 victories. He claimed his 50th victory on 16 May. On 14 September, Tange claimed three enemy aircraft shot down. . He recorded his 68th, and last, victory on 30 September, when he shot down a Russian R-5 reconnaissance biplane.  In late September 1942, Tange was transferred to Ergänzung-Jagdgruppe Ost to undertake instructional duties. On 1 November, Tange received promotion to the rank of Leutnant. Tange returned to front line duty on 11 July 1943. He was assigned to the Geschwaderstab of JG 51. He participated in three missions with the unit. On 30 July 1943, Tange was shot down and killed by flak near Bolchov. His Fw 190 A-6 (W.Nr. 550 163) “Black 4” fell burning and crashed into a Russian village. Tange was posthumously promoted to the rank of Oberleutnant. Otto Tange was credited with 68 victories in 426 missions. He recorded 65 victories over the Eastern front.